Ice creams are very popular in Hyderabad especially during the hot summer, and many brands have made a name for themselves. 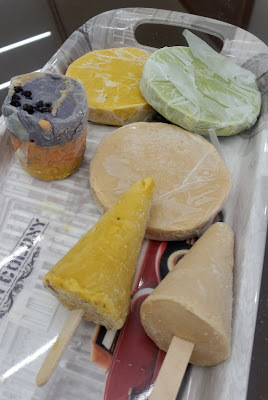 The handmade ice creams of Mozzamjahi market, Creamstone and Oh So Stoned of stone ice cream fame, as well as Naturals and Pabrais who have their own flavours, come to our mind. 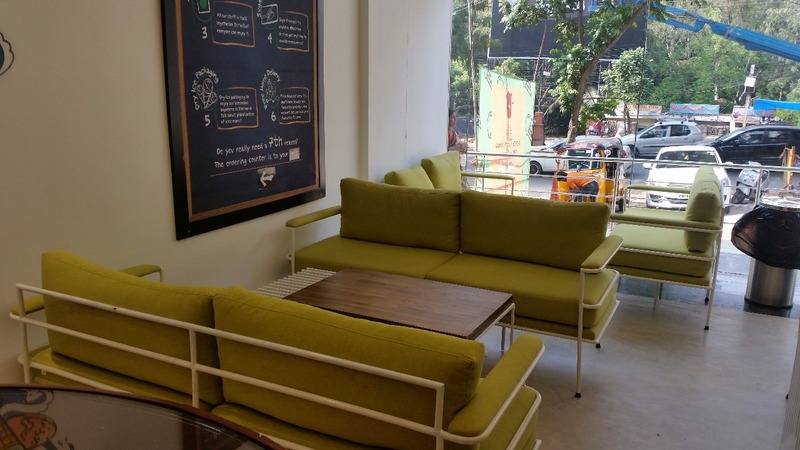 However, recently a couple of new brands have entered the market with their special offerings, one each from Mumbai and Chennai. 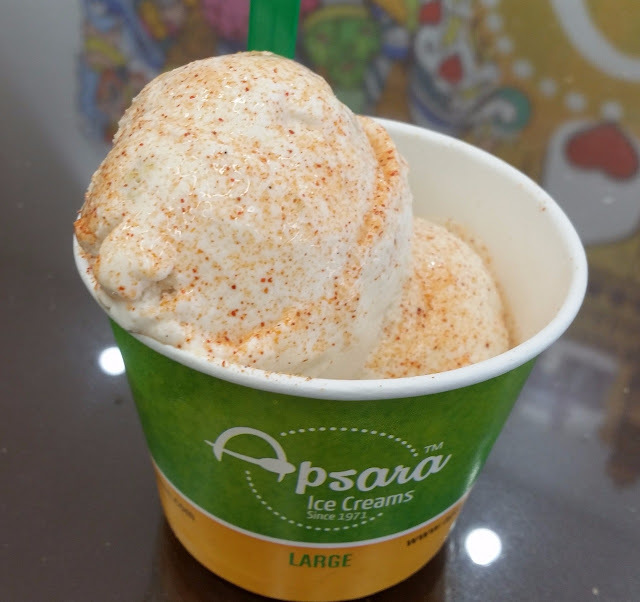 Apsara Ice Creams is a brand of ice cream which started operation in Bombay in the year 1971. From three varieties of ice creams, they have grown manifold to offer ice creams, sorbets, kulfis and shakes and grown to more than thirty outlets in Mumbai, Bengaluru and Pune. 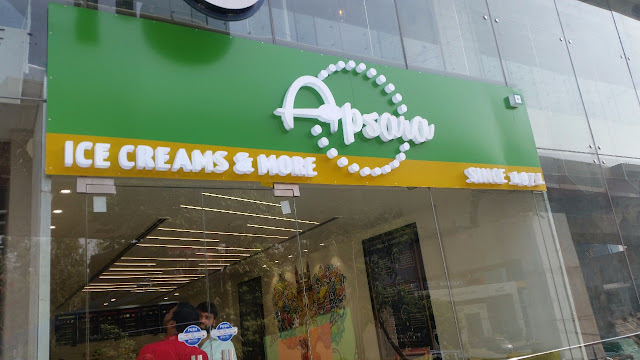 Their first store in Hyderabad has recently opened in Jubilee Hills, Hyderabad. The ice cream parlour is located conveniently on the main road no 36. It was interesting to have a look at the variety of products offered by them. 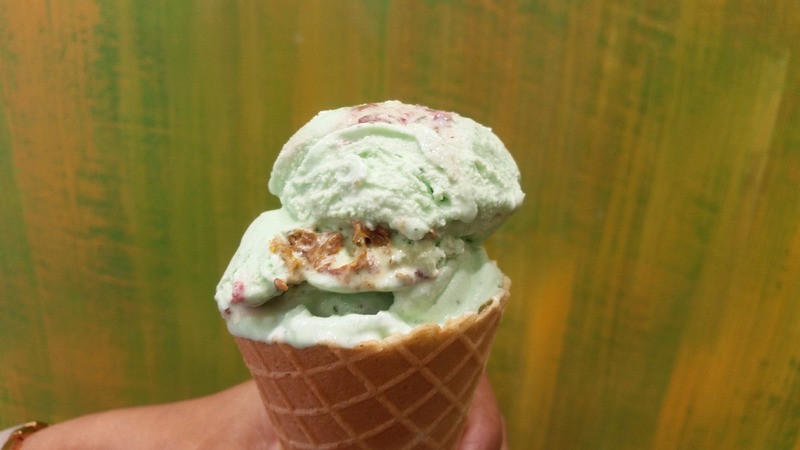 Guava Glory is one of the signature ice creams from them which is very popular in all their outlets, its strength was the spicy chilli flavour added to guava. But one that I would strongly recommend is Panipuri Pataka, an ice cream made to the exact taste of panipuri water with masala on it. 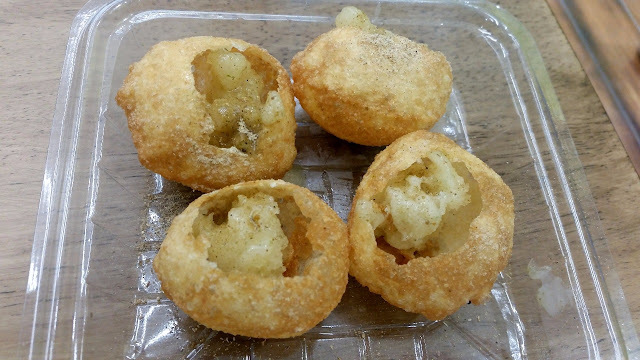 You can opt to have this ice cream inside pani puris, the flavours burst in your mouth as you pop the puri in giving a delightful experience. Romantic Rose also has a nice flavour of rose petals appropriately transferred to it. It was the week after Diwali and we tried their festival special Diwali Delight, the Gulab Jamun ice cream. 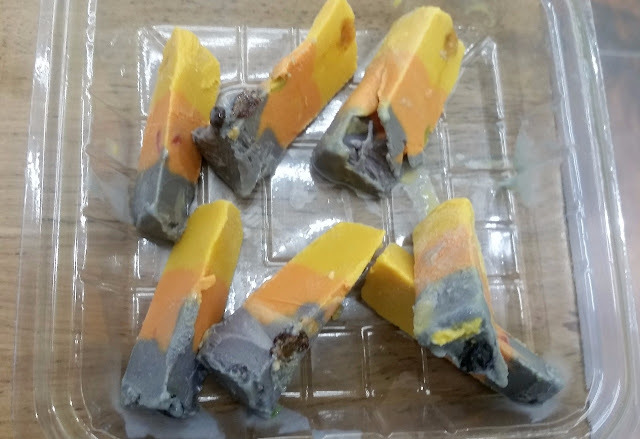 The ice cream had small bits of the sweet, and this was truly an exceptional product from them. I hope they make it part of the regular menu. Among the sorbets, Tamarind Twist is simply not to be missed. The kulfis here are well-known with flavours like Gulkand, Pistacchio and Malai. Try the Terrific Trio, this gives the taste of three different flavours in the same kulfi. Of the choco fare, Belgian Bites has a strong taste of good quality chocolate, it is one of the better chocolate ice creams in the market. We ended with Pan Pasand, which left a nice taste in the mouth. The ice creams here are priced at a mere Rs 70. A nice ambience adds to the experience. Amadora is well-known for its ice creams in Chennai, and they have now forayed into Hyderabad with a new outlet in Filmnagar. 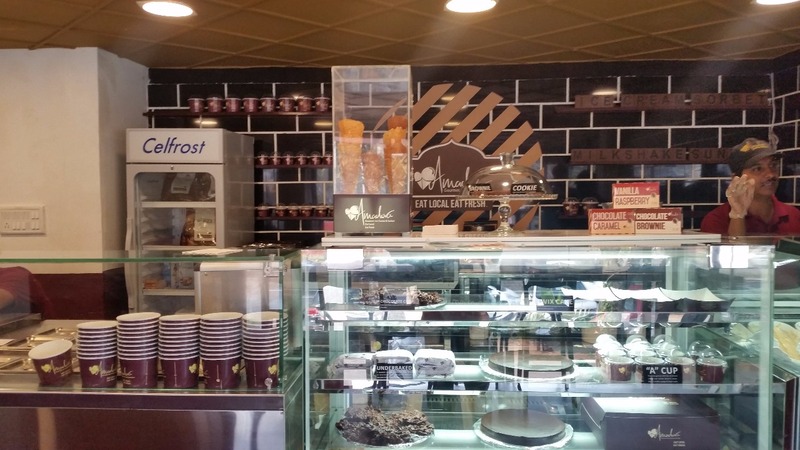 The place is known for their gourmet ice creams, sorbets and cakes. The outlet is small with seating for only about twenty people. 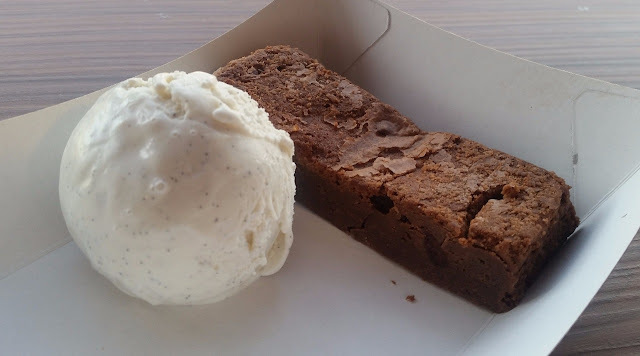 Their motto is “Eat Local Eat Fresh” which stresses on sourcing fresh ingredients from local suppliers and serving fresh ice creams. They have a couple of interesting sorbets, my favourite was clearly the Strawberry Sorbet. It has a sweet and sour taste which has a soothing effect on your mouth. If you are on an ice cream hogging spree, this can be your palate cleanser too. 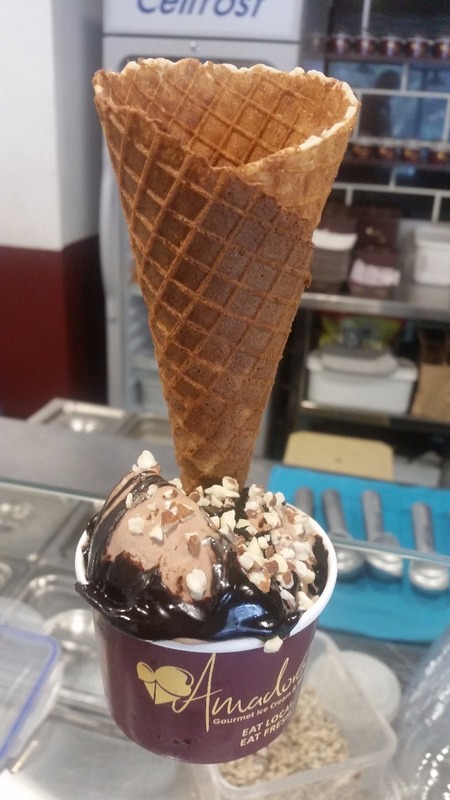 The Dark Chocolate Sorbet is thicker than a usual one with a prominent choco taste. 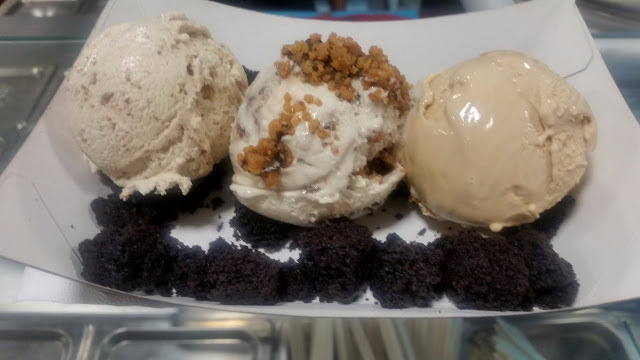 I was pleased with the ice creams here because the sweetness in most was subtle, noteworthy ones were the Sea Salt Coffee and Salted Butter Caramel. The latter in fact has a nice balance between sweetness and saltiness on a buttery base. I tried their Xocolat which was nicely presented with a cone in a cup kind of styling, the taste justified the looks too. 5-Bean Vanilla is an uncommon vanilla ice cream which has a granular taste. Underbaked, a warm dark chocolate cake was a perfect companion for this. A-Cup is another of their signature offerings, this has chocolate ganache with almond and salted caramel sauce. It was served covered with a scoop of 5 bean vanilla, which seems to the favourite for many such combinations for them. 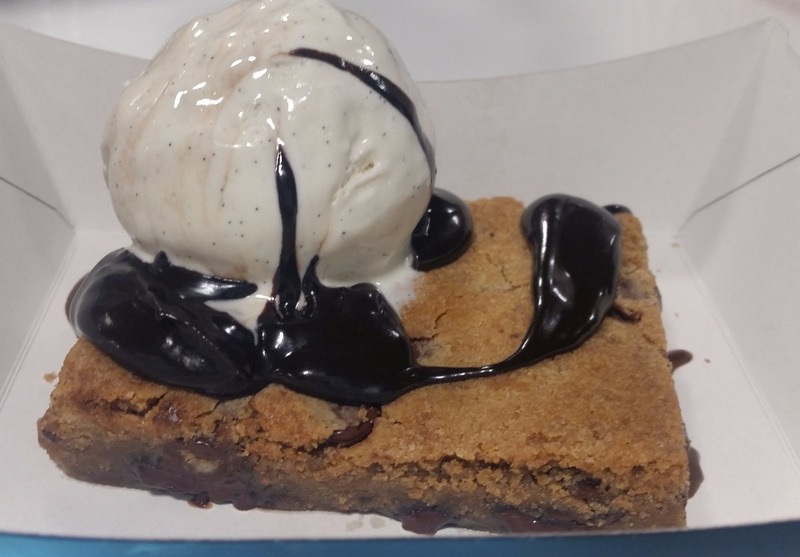 Some of their Sundaes also deserve a special mention. One we tried had a scoop each of salted butter caramel, xocolat and vanilla, with chocolate sauce dripped on it, and it did taste very good. Twix Cake with Salted Butter Caramel was par for the course. Chocolate Crisps, however, did not pass my muster, it was fairly ordinary. 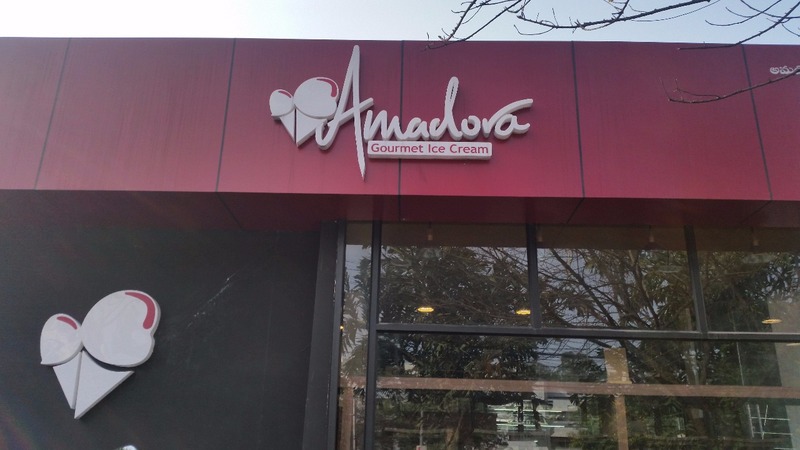 At Amadora, pricing is on the higher side, ice cream scoops are priced at Rs 220 onwards. But most of their products are artisan stuff, which justifies the pricing. Both the ice cream places have their own uniqueness and should be tried out by any chocolate lover. Disclaimer: The review is based on an invite from the restaurants.